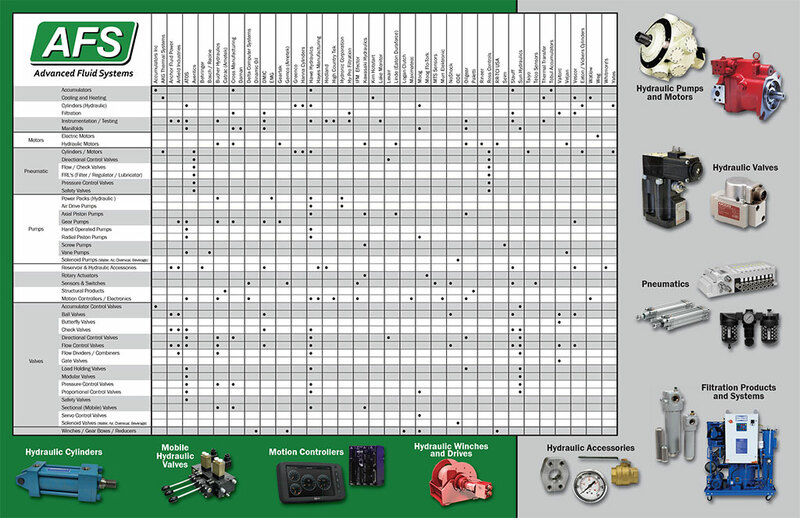 AFS Line Card – Our industrial line card features many of the manufacturers we represent, as well as, our fluid power systems and services. 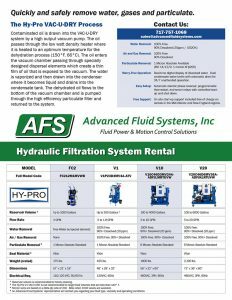 AFS Overview Brochure – This six-page brochure outlines our hydraulic systems and motion controls services and capabilities. It features two applications that required us to design and integrate a custom fluid power and motion controls solution. 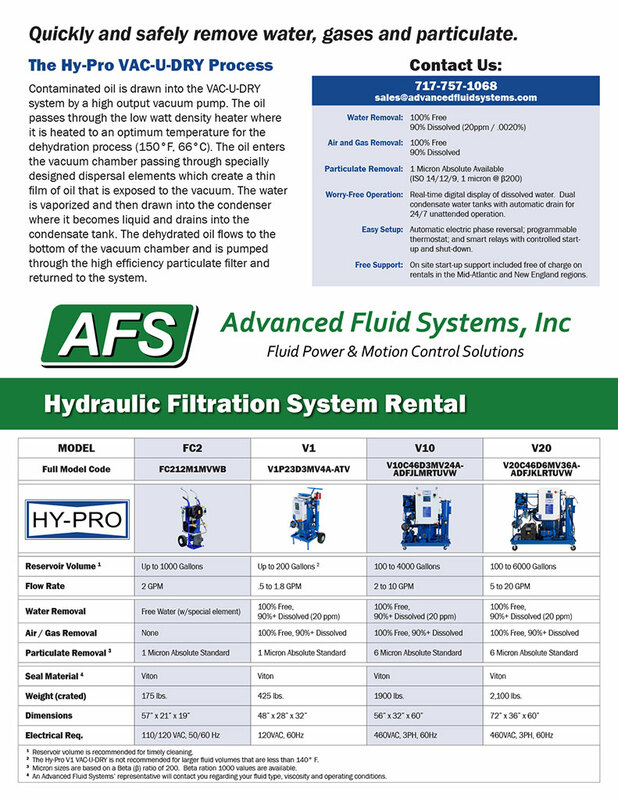 Hydraulic and Lubrication Oil Filtration Rental – Advanced Fluid Systems maintains two sizes of Hy-Pro vacuum dehydrator at its York, PA location for immediate rental. This brochure lists the dehydrators’ capabilities and current pricing. Mobile Case Studies in Success – A six page brochure illustrating a problem, solution and result for three different mobile customers who partnered with Advanced Fluid Systems. Learn more about the Advanced Fluid Systems’ engineering, products and support that revolutionized these applications. Lube Oil and EHC Solutions for Power Generation – This brochure outlines several products and solutions for the power generation industry, including: Moog valves and actuators, lube oil varnish removal, electrical hydraulic control (EHC) filtration, custom lubrication systems, fluid condition equipment and more.